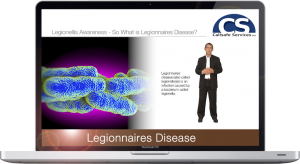 Legionnaires’ disease (also called legionellosis) is an infection caused by a bacterium called legionella. There are two types of illness which can develop after being infected with this bacterium. Legionnaires’ disease. This causes a lung infection (pneumonia). It is usually a severe illness which is sometimes fatal. Pontiac fever. This occurs when the bacteria cause a flu-like illness. It is not usually serious. Susceptible Groups, which are most likely to contract Legionnaires disease are: smokers, alcoholics, diabetics, people taking immune-suppressant drugs, people with cancer or chronic respiratory or kidney disease, and those aged over 45 years. Legionnaires Disease is caused by warm aerosol producing systems. So any working establishment that do have a warm aerosol producing system(s) then this course applies to them. This covers what exactly legionnaires’ disease. Why it is considered as a dangerous illness and what can cause someone to be exposed to this illness. 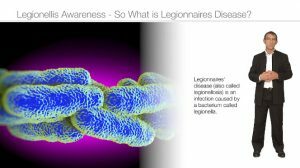 What precautions to take to ensure that people are not exposed to the potentially deadly bacteria that is “Legionella”. This course is straight to the point, what is Legionella, the dangers associated with Legionella. 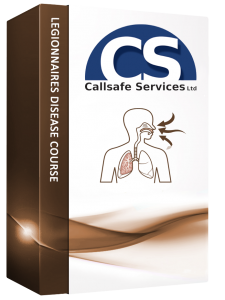 This course will save users time to getting training done effectively and be able to continue work knowing the importance of Legionella. So what is Legionnaires Disease? Medical Aspects and the Nature of the Bacteria.